Flexco recently introduced the PTEZ™ Belt Trainer - another high-performance tracking idler – to its robust line of belt trainers. Designed with the Flexco “Pivot and Tilt” feature, the new PTEZ belt trainer may be used in any application that requires tracking to prevent damage to the belt or conveyor structure, including single-direction and reversing belts. 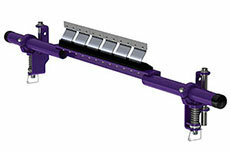 The unique Pivot and Tilt feature ensures that the belt stays away from the structure and the material stays on the belt without the use of sensor or edge rollers. The tapered ends on the roller drive the pivot and tilt mechanism, allowing the two forces to quickly move the belt back to centre. The PTEZ belt trainer can be used on vulcanised or mechanically fastened belts on almost any medium-duty application, including wet and dry conditions, belts with edge damage or wear, and belts that are mistracking to one or both sides. Available for belt widths 18” to 48” (450 mm to 1200 mm), the PTEZ belt trainer can be mounted as a standard “pull-up” mounting or on the clean side of the return side of a cupped belt. The simple, adjustable mounting brackets ensure quick and accurate installation. The economical PTEZ belt trainer also features a polyurethane roller cover, which ensures lasting performance in even the toughest conditions. 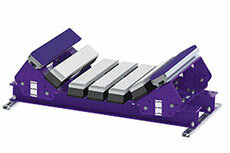 Flexco has announced the addition of Modular Impact Beds to its line of load zone solutions. 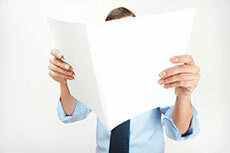 Flexco has updated its Belt Conveyor Product (BCP) Overview Guide following a new CEMA standard for belt cleaners. The FMS Medium-Duty Secondary Cleaner is ideal for use on mining conveyors with belt speeds up to 5 m/s. 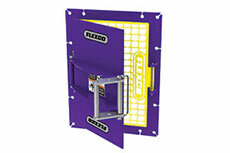 Flexco Inspection Doors for belt conveyor products allow safe access for maintenance.